Absolute Surveillance works with industry-leading manufacturers to design and integrate advanced security technologies for law enforcement, defense and homeland security agencies. Absolute Surveillance has the resources to design and implement strategic, cost-saving solutions for any project. From initial conception and design to delivery and integration, Absolute Surveillance is your partner in advance security and emergency solutions. With every project our goal is simple; to provide high quality service and products that will fulfill the objectives of the end-user. We understand the importance of every mission and strive to provide the latest equipment to meet the critical demands of your objective. Absolute Surveillance provides complementary consulting to identify the latest technologies best suited to meet your objectives. We collaborate with leading security and emergency response experts to deliver superior solutions with reliable results. 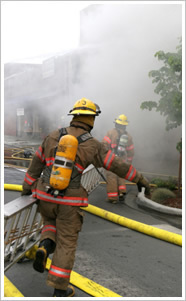 Absolute Surveillance offers a wide range of emergency response solutions. We assist with disaster scenario planning and provide comprehensive solutions to overcome weaknesses in response and disaster preparedness. Natural Disasters - When natural disasters occur, local agencies need increased infrastructure to support relief efforts. Absolute Surveillance can assist with response and recovery solutions through portable communication infrastructure, mobile water purification systems and incident monitoring and reporting. Public Safety - Absolute Surveillance has solutions to support local law enforcement agencies with public safety efforts. Our solutions can assist with large crowd control, incident monitoring, portable communications, mobile barrier systems and tactical equipment. Mobile Infrastructure � Absolute Surveillance provides consulting and distribution for tactical equipment and information systems. From manned tactical platforms and mobile surveillance systems, to integrated video analytic systems, our equipment helps deter incidents while providing a strategic, force-multiplying advantage over critical incidents. From portable surveillance units to infrared camera systems, Absolute Surveillance provides cutting-edge solutions to border security. Absolute Surveillance provides camera systems, and visual trackers designed to withstand extreme conditions with superior results. Absolute Surveillance is a leading distributor of emergency response equipment, from water purification systems to portable communications and infrastructure. Absolute Surveillance provides complete perimeter zone security through motion and visual sensors and superior software monitoring. Absolute Surveillance provides complete infrastructure systems to power a complete military base camp with full communication support via satellite. 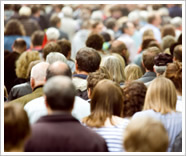 Gain a visual advantage over large crowds through our portable surveillance systems and tactical platforms. Absolute Surveillance had solutions to monitor and protect critical infrastructure sites using advanced surveillance technology.